In amongst all the latest technology, electric vehicles and supercars, there is still a place for proper old school thrills and entertainment. Before drifting and donuts, there was the Wall of Death, the smallest and steepest racetrack in the world! 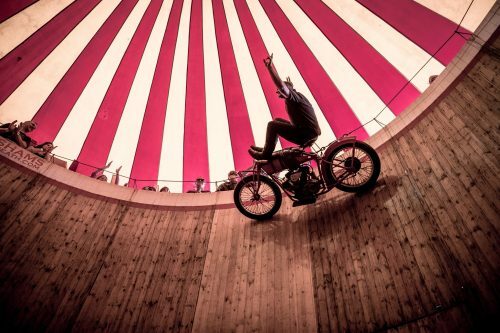 And we’re thrilled to confirm that for 2019, The Leasing.com London Motor & Tech Show will be featuring an original Wall of Death as part of our Entertainment Area. If you have never experienced a Wall of Death, this is an absolute must. 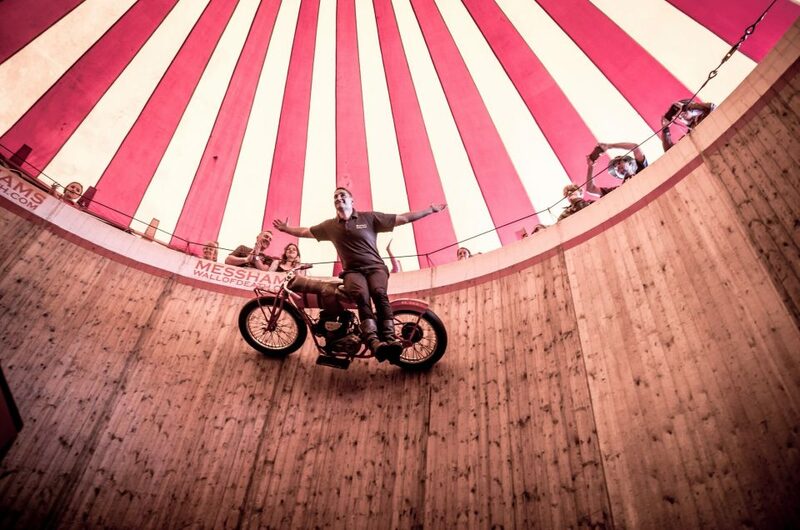 Messhams Wall of Death is a stunning, beautifully painted original 1920’s wooden structure, 20m high and 30m wide, using the original 1920’s Indian motorcyles. Messhams operates Europe’s oldest motorcycle stunt show. 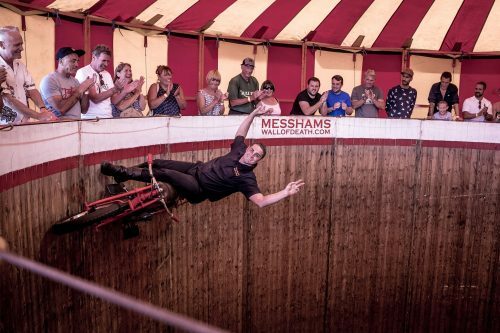 For over 80 years the Messham family, now in its fifth generation, have ran the Wall of Death and upheld an international reputation for excellence of performance and presentation of this unique and thrilling show. The spectacle is of ever present danger and bravado coupled with the fear that something may go wrong as the artists cling to their machines, riding just inches from the crowd at breakneck speeds. Steering their machines with their feet, sitting sideways, backwards and forwards. Visiting the show is an encounter with old school thrills, as the artists challenge the laws of gravity and invade all your senses, sight, sound, taste, smell and motion. “A MEMORY THAT WILL LIVE AS LONG AS YOUR MEMORY LIVES” The Show is suitable for the whole family, a show for the young and old that never fails to please. Don’t miss this amazing experience, get your tickets to The Leasing.com London Motor & Tech Show now! 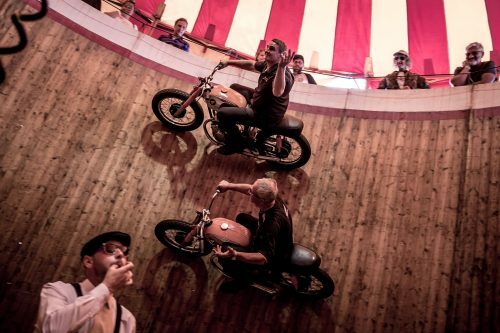 *The Wall of Death entrance is not included in the ticket price for the London Motor & Tech show, an additional cost to enter the Wall of Death may be applicable, from £2 per person.